If you are not already a member of TRA, or a former member, you should sign up HERE first. Most membership subscriptions to The Reiki Association include an annual subscription to Touch magazine (worth £25.00!). Touch is produced quarterly. People taking Joint or Group membership receive 1 copy between them each quarter. If you would like to join us and pay by other means than the online payment buttons below, you can still sign up online first, then make payment by sending it along afterwards, details are on the bottom of this page. If you do not want to sign up online you can download an application form to send in. 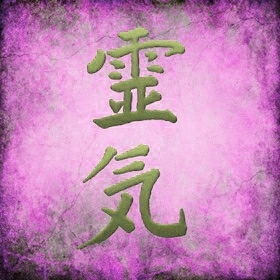 Further details about joining The Reiki Association can be found here. Please select the ONE option below that applies to you. - You may pay by debit or credit card, or PayPal account. ~ ~ Annual membership for anyone over 21 with Reiki, and not entitled to concessionary membership. ~ ~ Includes subscription to Touch magazine. Joint membership ~ Discounted annual subscription for those who wish to have membership jointly with their partner or family member provided that another of the pair is paying their subscription at a full individual or concessionary rate. Group Membership ~ Discounted annual subscription for those who wish to have membership jointly with others, like their master or share group leader, provided that another of the group is paying a subscription at a full individual or concessionary rate. Group membership is intended as an introduction to TRA for new Reiki students and is available for one year only. Joint/Group memberships receive only 1 copy of Touch magazine and other mailings between them, sent to 1 address. - you have ticked the statement that you are part of a Joint/Group membership. - you state the name of the member who has paid their subscription at the full rate. - you state the preferred address for all mailings. ~ ~ Annual membership for anyone resident outside the UK mainland regardless of status (pensioner, student etc). ~ ~ Annual membership for anyone resident outside the UK mainland regardless of age or status (pensioner, student etc). ~ ~ Does NOT include a subscription to Touch magazine. This can be ordered to separately via the Touch website. ~ ~ Nearly all communication for this membership will be by email, or through the website using its many features and messaging systems. To be eligible for this rate you need to be one of the following at the time of payment, and for the majority of the subscription period: EITHER ~ over the age to qualify for a state pension AND on low income/pension credits. . . . OR ~ receiving state benefits and not working due to ill health, disability, or unemployment. . . . OR ~ registered disabled. . . . OR ~ registered as a full time student. Please send an email or put a note on your renewal form to the Membership Secretary confirming your circumstances. ~ ~ Annual membership for anyone over 18 and under 21 at the time of signing up or renewing. ~ ~ Does NOT include a subscription to Touch magazine. This can be ordered separately via the Touch website. ~ ~ This membership is subject to approval and we may request proof of age or Reiki initiation. This application does not give immediate access to the members areas or features on this website. The online facilities above clear payments and set up a current membership immediately, but when paying by other means there may be at least a week's delay whilst the transaction is manually processed. Please email the Membership Secretary at memsec@reikiassociation.net to confirm you have made the payment by bank transfer. BY PHONE to the Membership Secretary on 01373 229732. Payments are accepted via credit/debit card using Worldpay. Unless you are an existing member, you need to be signed up via the website beforehand. Preferably have your Membership No. (top right on website when logged in) to hand before calling. IF NEW TO TRA, ensure you sign up first and log in before clicking button above. IF RENEWING YOUR SUBSCRIPTION and paying by other means than using the online payments above, you can log in & then click the sending payment button above to confirm the action. ~ WE MAY CONTACT YOU if payment fails to arrive within 14 days. IF YOU DO NOT WISH TO SIGN UP ONLINE and would prefer to send in a paper form with your payment, you can download a PDF file to print off by CLICKING HERE. If you would prefer to have forms sent to you, please contact the Membership Secretary HERE . In case of difficulty using this website whether signing up or renewing a subscription the Membership Secretary can be contacted on 01373 229732.